We love the first days of fall on The Magnolia Company farm. We are always looking forward to starting the harvest in October which will soon yield to our busy Christmas Holiday season. 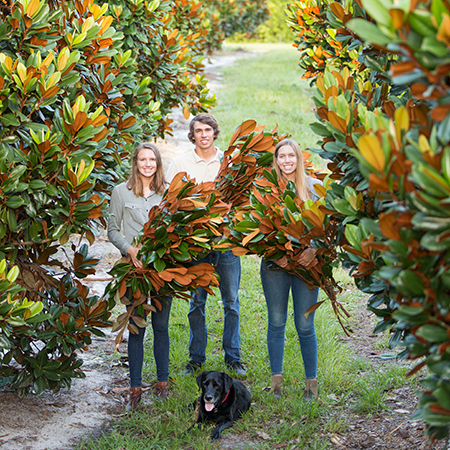 It is a great feeling to start cutting in the magnolia groves that have been meticulously cared for through the wind, rain and even a hurricane! What a delight to view the natural branches and leaves flowing into our production areas. 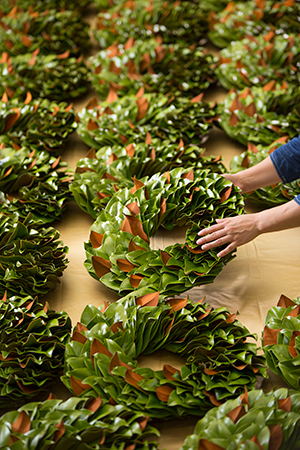 Here these leaves will be assembled into stunning wreaths, garlands and centerpieces. Some of these trees have been cared for close to 20 years. And, each year if we care for the magnolia tree in the right way it will continue to reward our work with beautiful stems to use in our designs. Even though we produce many elegant designs, one of our favorite elements in our wreaths is the natural contrast of the deep green leaves against the copper colored backing of the magnolia leaves. This is an all natural classic combination of colors and texture. 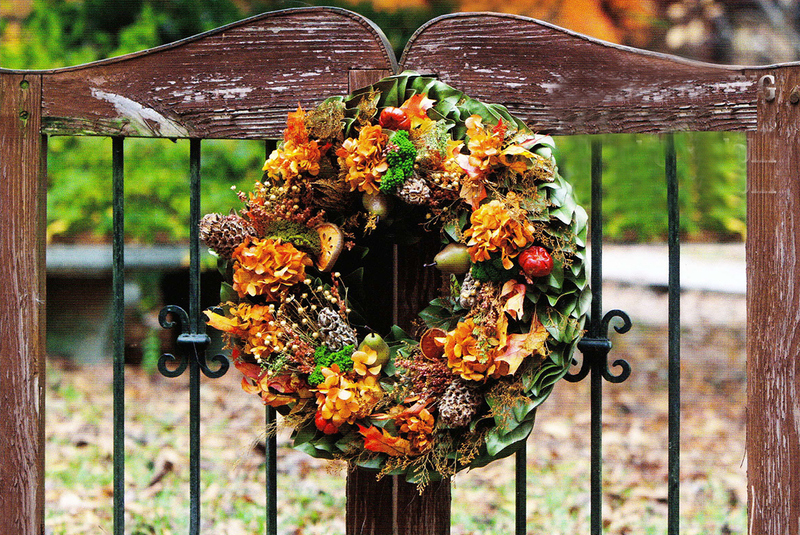 We produce many of these designs as they are used as a base for an array of elegantly accented wreaths. Coming soon we have a great new line-up of fabulous fall and holiday designs!